Xanterra Parks and Resorts owns and operates concessions in a number of our national parks including Yellowstone, Zion, and Grand Canyon National Park. 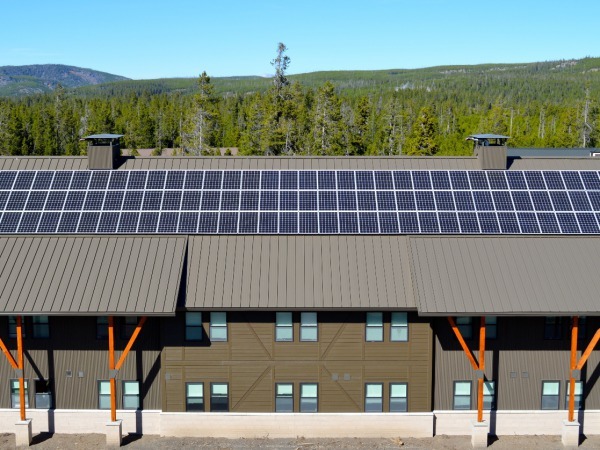 Their Sustainability Program’s most recent project was this LEED Platinum employee dormitory located near Old Faithful Geyser in Yellowstone National Park, Wyoming. 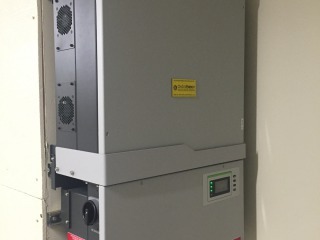 By installing this 30 kW solar array on the ample roof space of the new dorm, Xanterra was easily able to meet the platinum-level renewable energy LEED criteria required. Other notable elements of the project were passive solar design elements for heating and cooling, LED lighting with sophisticated control systems, and super insulation measures. 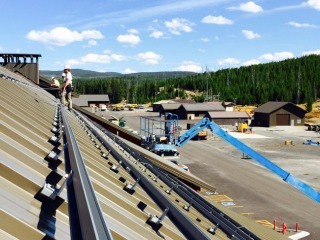 Because of Old Faithful’s remote location, it was a challenging project for many reasons, but with careful coordination with Xanterra and the National Parks Service, Onsite Energy was able to successfully execute the installation in September, 2015. 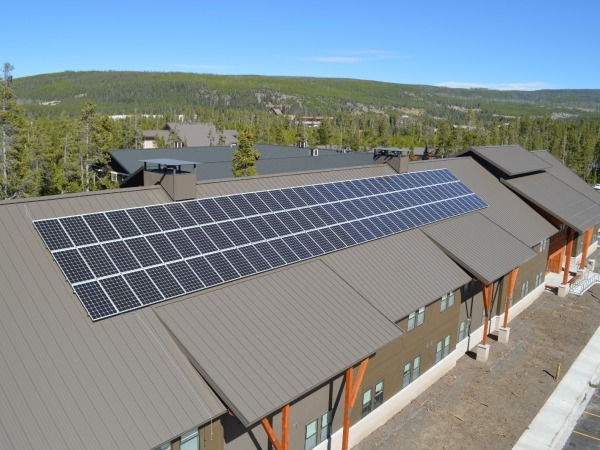 "Xanterra Parks & Resorts recently had the pleasure of working with Onsite Energy on a solar install on our newly constructed Paintbrush employee residence at Old Faithful. 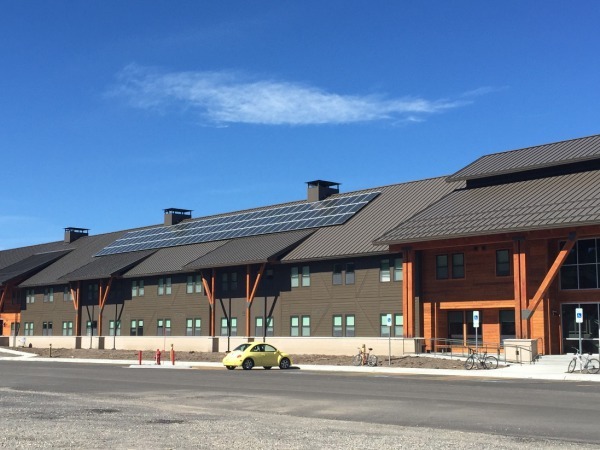 This project was certified as Yellowstone’s first LEED Platinum building, and the addition of a renewable energy component was integral in helping us to achieve this prestigious accolade. The folks at Onsite Energy were knowledgeable, helpful, and easy to work with throughout the process and we look forward to future projects to help reduce our impact in the world’s first national park." Solar power at Old Faithful in Yellowstone National Park!